1. What happens when it rains? management will make that decision one hour before the scheduled game. Please call each facility to determine if the games will be played. 2. When should I sign up? ASP recommends that you sign up two to three weeks prior to the start of the season. Leagues do sell out. 3. What is the policy on payment of league fees? of $325 is due before the third game. 4. What if I don’t have a team, but still want to play? No problem. ASP will find you a team to play on or form a team out of individuals like yourself who want to play. 5. 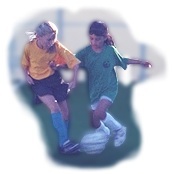 Will indoor soccer improve my child’s play for outdoor soccer? 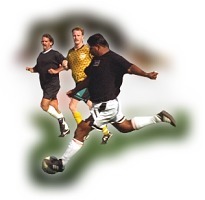 Yes, indoor soccer will improve an individuals skill on the ball by reducing the time and space he/she has to react. 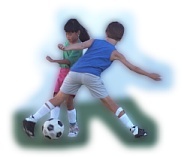 Additionally indoor soccer’s reduced numbers naturally leads to more time with the ball creating better handling skills. 6. Is it too late to start playing? I’ve never played before? No, ASP has leagues for all levels of play and offers training to youths as well as adults. 7. Does my team have to have uniforms? Yes, all teams must wear the same color shirt with a number on it. ASP offers uniforms for sale in the pro-shop and can put numbers on your uniform for you. 8. What do I have to buy for my child to play? Each player must have shin guards, black shorts, and flat-soled shoes. All of these items are for sale in the pro-shop. Nothing else is needed. 9. What are the facility office hours? ASP’s office hours are Monday-Friday from 4pm to 10pm and Saturday and Sunday from 10am to 9pm. However most facilities are open more please call each facility for specific details. 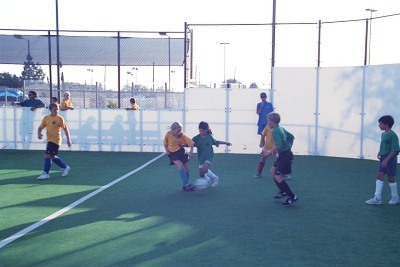 ©2005 Arena Soccer Parks, LP all rights reserved worldwide.